Class 40 electric locomotives were the workhorses of passenger services, on all kinds of carriage consists. From what I can tell, the most modern locomotive hauled carriages wear a grey and dark red livery. 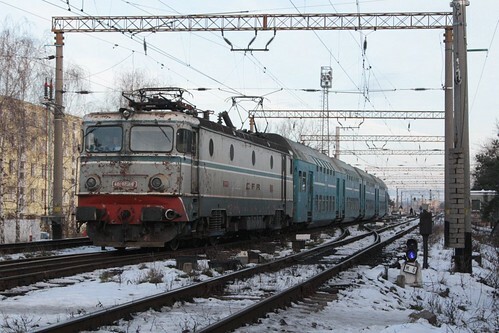 Diesel locomotives are also used on the unelectrified lines found further from Bucharest. 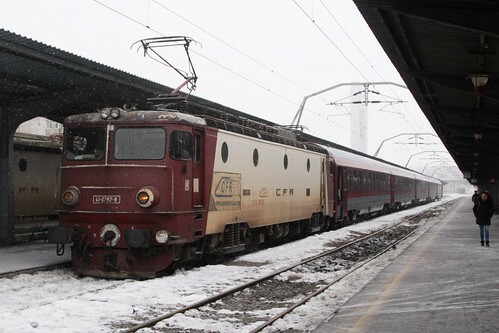 Here a Class 65 diesel hauls a ragtag collection of carriages into Brasov on a local service. 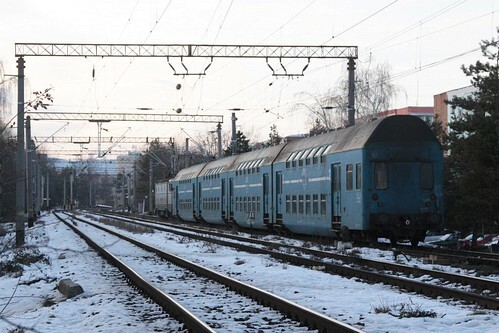 There are also commuter trains serving a number of cities – I found this double headed consist of double deck carriages at București Nord. I also spotted a slightly more clapped out version operating out of the regional city of Brasov. 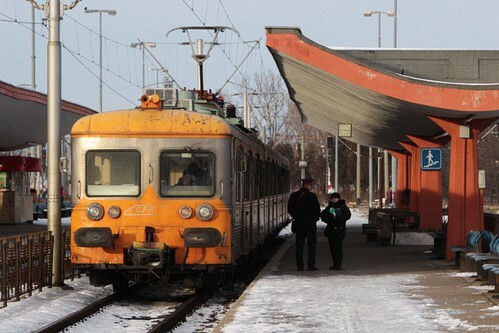 Built by Waggonbau Görlitz of East Germany, these carriages are of type Bhp and were used across Eastern Europe. 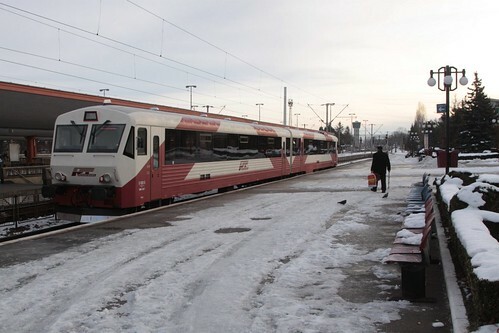 CFR does have a growing fleet of modern diesel multiple units – the Class 96 DMU is the local example of the Siemens Desiro design. 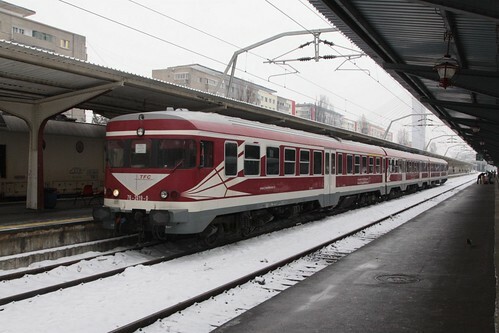 However lots of other trains are hand-me-downs from elsewhere in Europe, such as this Class 76 DMU – actually a DB Class 614 unit purchased second hand from Germany, and refurbished in Romania. 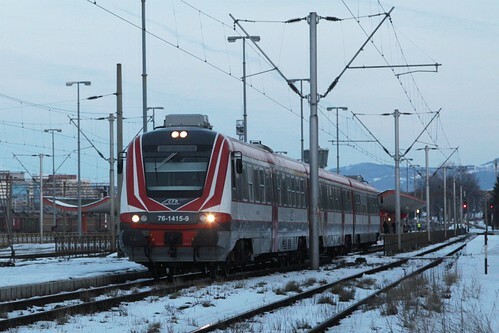 The same applies to the sole type of electric multiple unit used in Romania – the Class 58 EMUs are actually SNCF Class Z 6100 units purchased second hand from France. 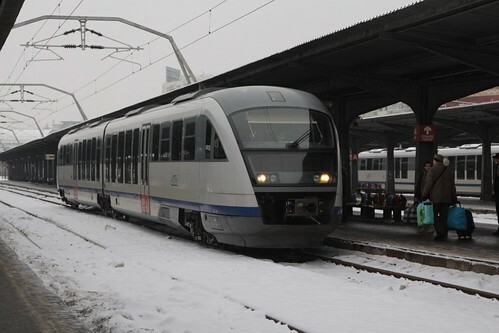 Private operator Transferoviar Calatori has also purchased trains from elsewhere in Europe – their Class 76 DMUs are former DB Class VT 24 (class 634) units. Regiotrans is another private operator to follow the second hand route – their Class 57/97 DMUs are second hand SNCF class X 4500 railcars. 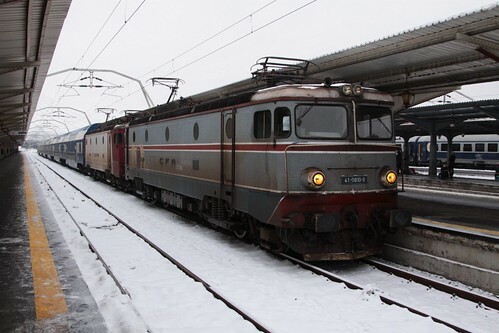 Since entering service in Romania, a handful of the Class 57/97 units have been refurbished by Regiotrans. 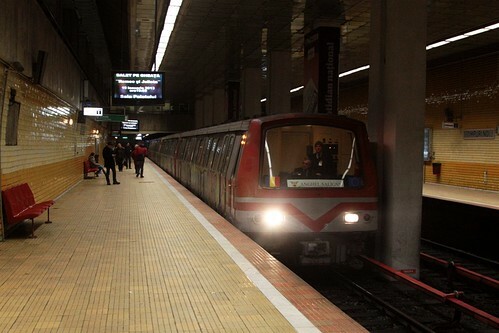 On the Bucharest Metro there are two types of train in use – older Astra IVA units built in Romania between 1976 and 1992. 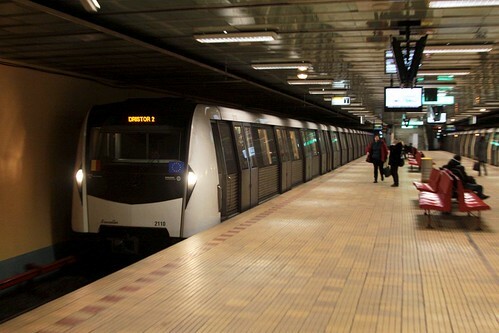 And modern Bombardier Movia 346 working beside them. It took me a long time to work out, but numbering of the Regiotrans Class 57/97 also had me stumped for some time – turns out one end of the pair is numbered 57-xxxx, while the other is numbered 97-xxxx. 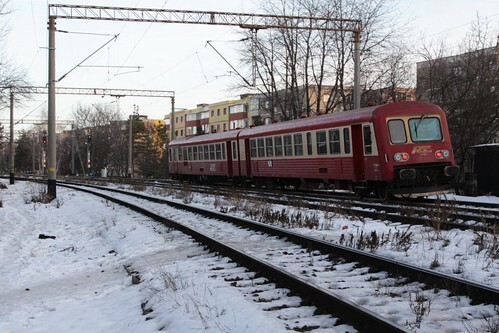 Railfaneurope.net lists of the classes of rolling stock used in Romania, broken down by operator. These lists were invaluable in working out the origins of the second hand DMUs! 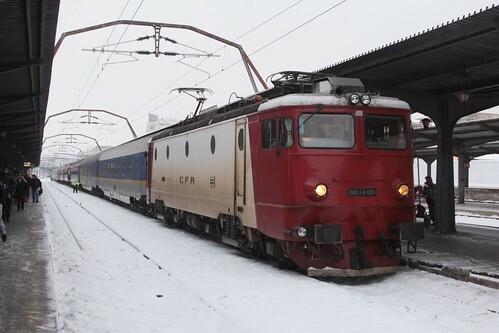 This entry was posted in Trains and tagged Căile Ferate Române, CFR Călători, Romania. Bookmark the permalink.